Coconut Grove has a weekend of back-to-back festivals coming up. Borrachera at it's best. 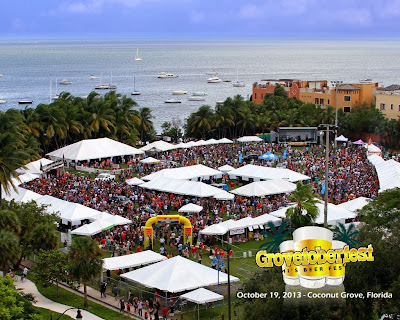 First up is Grovetoberfest makes its way back to the Peacock Park this year to the elation of craft beer fans through out the 305. Its all going down Saturday October 19, 2013, giving you all of Sunday to recover from the mother of all hangovers. This year you'll be able to get unlimited samples of over 250 beers, from national beer breweries to local beer craftsmen. There's going to be live music from Liza Quinn + The Bureau, cooking demonstrations and even a home brewer's competition. If at the end of the night, you had way too much to drink you've got nothing to worry about. 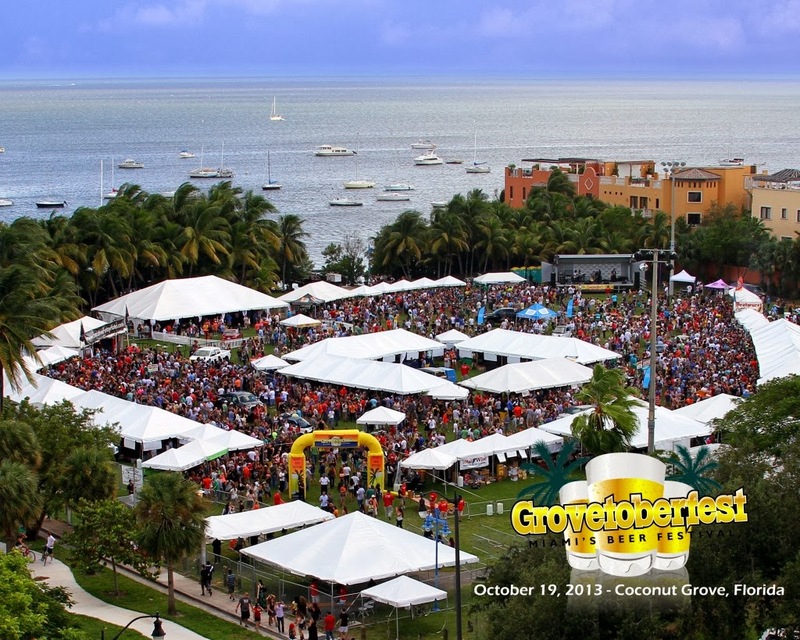 Grovetoberfest will offer free shuttle rides to and from the MetroRail to the Coral Gables station to anyone to plastered to drive home. Tickets are on sale now and will be available the day of the event! Prices range from $40-$90. 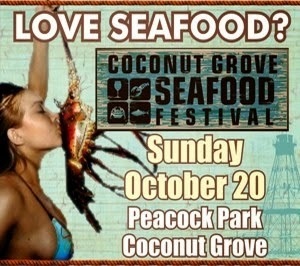 The very next day at the very same park, the Coconut Grove Seafood Festival is taking place. The event looks to celebrate Miami's waterfront lifestyle and seafood (DUH). There will be mountains of shrimp, oysters, craw fish, fish, lobster. If it comes from the ocean, it'll be served up at the Seafood Festival. There will be live music, cooking demonstrations and most importantly FOOD! If you buy your tickets ahead of time, they're $15. That price will jump on the day of the event to $25. VIP tickets are available for $50. Restaurants that focus on seafood, such as Monty's, will be on hand giving unlimited samples to patrons. The best part about it is that I'm hooking YOU up with a pair of tickets to check this event out! I'll select a winner on 10/15 and as usual, the winner has 24 hours to claim their prize. You may have to give the Rafflecopter app a couple of seconds to load. Love seafood so I really hope I win! Dying to go to this event! Raw oysters are my recent fav!